Of all of the decisions you will make as a business owner, none is more important than deciding who to hire. Each person adds to -- or detracts from -- the company culture you’re trying to create, and a bad hire can slow productivity, making your business less effective. 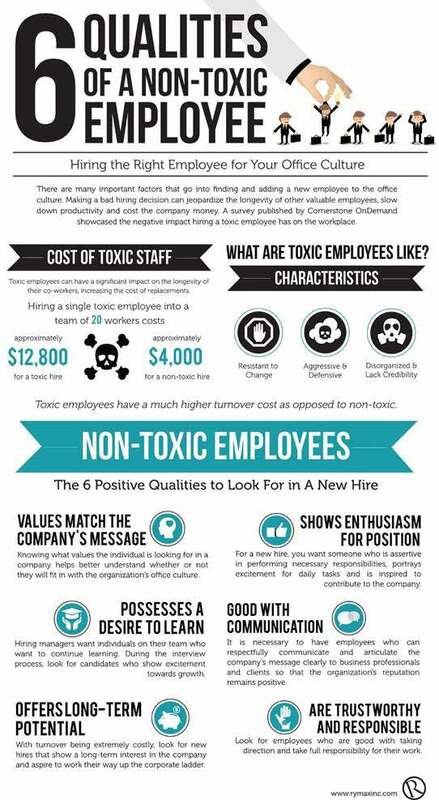 While toxic employees are resistant to change and disorganized, a high-quality worker will be enthusiastic and ready to learn. There are other qualities that you should be looking for, too, so check out the infographic compiled by marketing agency Rymax below.